In September 2018, The U.S. Department of Veterans Affairs updated the Home Loan Guaranty 2017 Fiscal Year report. The report shows that there were 740,389 VA loans guaranteed nationally in 2017 – a 4.95% increase from 2016 (705,474). This total includes purchase loans, interest rate reduction refinance loans (IRRRL), and cash out/other refinance loans. There were 380,437 purchase loans in 2017 – an estimated 7.8% increase from 2016 (353,002), and 302,815 purchase loans involved no down payment. That’s 80% of VA purchase loans made in 2017 that had no down payment! Additionally, first-time home buyers accounted for 41% of purchase loans. The report shows a TOTAL loan amount of $189 Billion in 2017 with an average loan amount of $254,866. How did VA loans perform in Hawaii for 2017 compared to 2016? VA loan reports for Hawaii show the total number of VA loans (purchase + refinance loans) decreased 10% in 2017 (5,494) from 2016 (6,094). 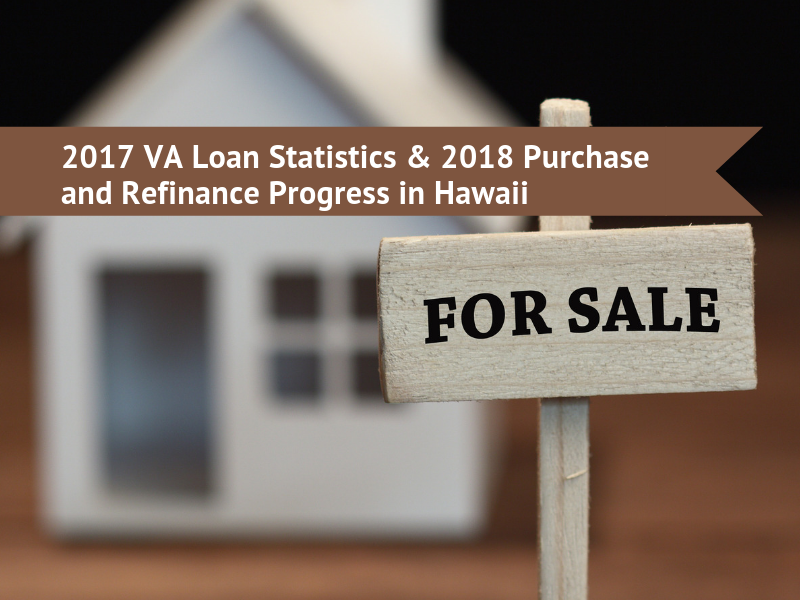 However, the state of Hawaii saw 2,755 VA purchase loans in 2017 – 198 more purchase loans from 2016 (2,557). Yet in Hawaii, there were 798 less refinance loans in 2017 (2,739) than 2016 (3,537). Hawaii VA Loans is the longest running VA loan lender in Hawaii. Our VA Loan Specialists and team members are committed to simplifying the VA loan process and increasing the number of U.S. veterans who can call themselves Hawaii homeowners. To pre-qualify for a VA loan, contact us at 808-792-4251 or simply fill out our secured online loan application and a member of our team will get in touch with you.